In the final post in the series “Kill the Hierarchy” I explore how a flatter organisational structure requires leaders to coach. Flat organisations give management a great opportunity to develop their people and empower them to make decisions. Manager must become leaders and coach their teams into becoming leaders themselves. The ‘Kill the Hierarchy’ model shown the diagram below, illustrates the changes needed to move to a flatter structure, and it is these changes that we have been exploring in this series of posts. Creating a flatter, autonomous work place and allowing employees to self-manage is great. But what if you just let loose and leave everyone to work out what to do and work on. This is what happened at Buffer. Buffer is an extremely successful social media management solution company. It is also known for its transparency and the way in which it manages its distributed and remote employees. But Buffer didn’t always get it right. When Buffer moved to self-management, they also moved to a completely flat structure. One of the big mistakes was the removal of all 1:1’s and mentoring sessions to avoid top down interactions. This resulted in employees being left to sink or swim and it was a disaster. So Buffer reintroduced 1:1 coaching sessions. These sessions are a vehicle for working through challenges and bouncing around worries and concerns with someone who may have been through a similar situation in the past and can offer sound advice as a result of that experience. Luis Magalhaes, writing for Distant Job describes how co-founder of Buffer, Joel Gascoigne, structured Buffer’s one-on-one coaching strategy. “Human beings are very self-conscious. Don't expect all your employees to be 100% straight with you when their colleagues are present. A complete focus on the other person and on what he or she is saying can’t exist if someone else is around. We humans aren't wired for that. Buffer team leaders hold one-on-one meetings with each employee twice a month. The key takeaway here is that the meeting is foremost about the employee, and for his or her benefit. The employee does about 85% of the talking, and the leader or manager listens. Regular coaching for all employees including executives helps connect everyone. It makes sure that no-one gets left behind. It builds connections between what each person does and the organisation’s goals and objectives. Some employees may develop connections on their own whilst others will require coaching in order to establish connections and maintain them on an ongoing basis. Employees need to connect to the job and what is required of them; their leader; their colleagues and the organisation as a whole. Leaders need to understand the levels of connectivity in each area and work to develop strong connections. Employees will be engaged and motivated as a result. Every leader should help others learn and grow by having resonant coaching sessions. The following are some of my coaching tips. 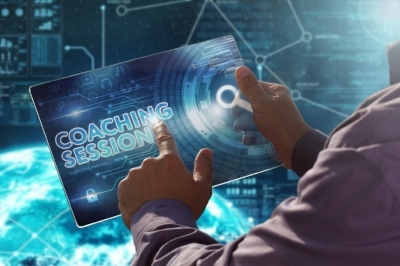 Coaching sessions should be held on a regular basis and not just ad-hoc as time permits. They should only get postponed or rescheduled in extreme circumstances. Regular reschedules or cancellations send messages to employees that you are not serious about their development and well-being and have higher priorities. The sessions should also be time-boxed and the employee given all of that time to work with their coach. Cutting sessions short because you need to do something else, sends the same messages as cancelling or rescheduling. There is no better way to demotivate and disengage employees than to say you are going to give them your time for coaching and then not live up to that commitment. It’s your call! Start off the sessions by celebrating successes and achievements. Take time to reflect on what has been done well before jumping into the next challenge. Employees will be energised and refreshed before you dive into the rest of the coaching session. Remember, most of the time - around 85% of the session – should be the employee talking – not the coach. The coach listens. The coach listens with a clear and open mind. Be aware that your employee will know when you are not in the moment and have other things on your mind. You need to clear your mind and be present. Effective coaches do not give the answers – they ask questions. What you would do in a given situation is not necessarily what the employee should do. They need to talk about their goals and challenges and find the answers themselves. It is only in this way will the employee be motivated and take ownership of a solution. Coaching sessions are a great vehicle for two-way feedback. 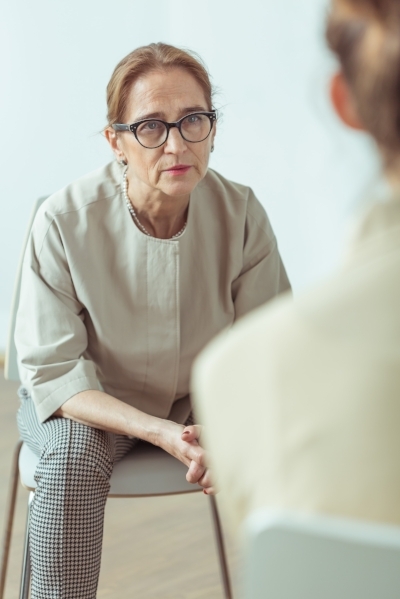 Not only can the coach give the employee feedback on how they are doing but the employee can provide feedback on leadership and the direction of the organisation. It is critical that the coach holds the employee accountable for delivery of their goals. A coach needs to make it clear to the employee that coaching requires action and accountability of the part of the employee. The employee is accountable for developing and implementing plans that will enhance their development. Likewise, if the coach makes a commitment to the employee, they are accountable to deliver on that commitment. Coaches need to be able to support employees in the achievement of their goals. For example, an employee may tell the coach that they wish to determine the best way for employees to understand the customer experience so that they are empowered to improve it. The employee suggests an initial engagement at a retail store to observe the customer experience and an engagement in the call centre to listen to the customer experience. As a coach you may think this is a great idea but you also need to make it happen. The employee needs to be given the time and resources to carry out their plan. If you don’t give the employee the means to deliver on an agreed plan, you will soon lose their trust and respect. Flattening the hierarchy, giving employees autonomy and allowing them to self-manage, does not translate to leaving them to flounder. Coaching develops connections and brings everyone on a collective journey. Leader s must be effective coaches. Upcoming posts will explore how leaders need to let go. If we are to become the responsive organisation that we need to be, we require leaders who can let go and surrender control. Also remember that older posts from me are available via the Resources section.